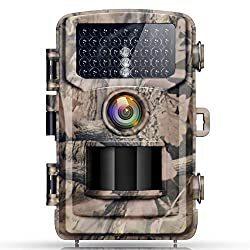 Capture photos and movies of flora and fauna or other people in the field the use of the Browning Strike Force HD Pro Trail Camera, which takes 18MP stills and records HD 1280x720p video with sound. 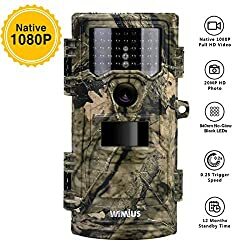 The camera features a passive infrared (PIR) motion sensor with an 80′ detection range and a fast 0.3-sec trigger speed for capturing images in accordance with subject movement. 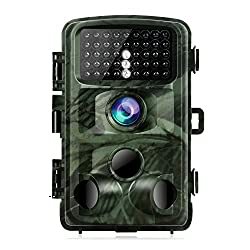 The infrared LED flash has a 120′ range, and offers selectable IR settings for middle of the night use. Timelapse Plus shooting mode captures images at pre-set intervals over a designated time frame at the same time as still shooting motion-triggered pictures, and Browning’s supplied BuckWatch Timelapse Viewer Software lets you see patterns and changes over that period. You’ll be able to review images and video on-board with the 1.5″ color viewing screen. The Strike Force HD Pro may also be set to shoot up to 8 images in Rapid Fire mode. Photos and videos are recorded to user-supplied SDXC memory cards up to 512GB. 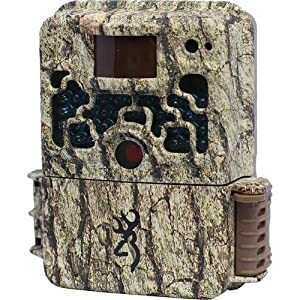 The camera runs on 6 user-supplied AA batteries or on an optional external power supply connected to its 12V power jack. 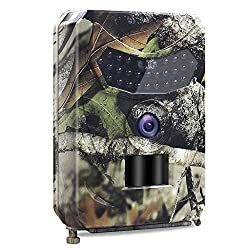 Additionally it is configured with a TV Out connector for viewing on a monitor and a USB port for image transfer to your computer.